As a BONUS for each day of the week I’ve given you five options. That means that all month long you can have a different recipe every single day! The fifth recipe in each day is for those occurrences when you’ve got an extra week in the month. 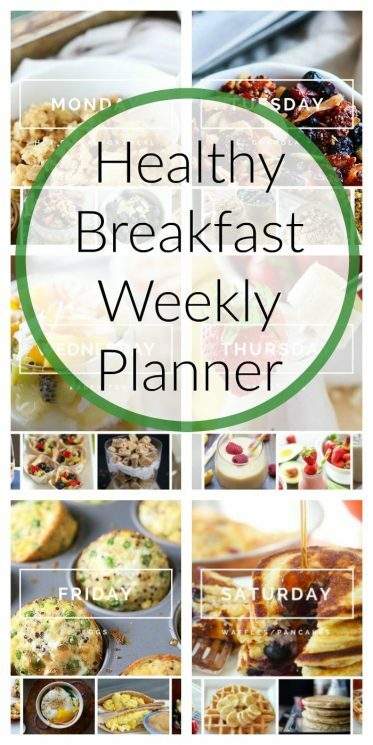 Print it out and have your breakfast schedule ready every day of the week! Mondays are for hot cereals or oatmeal. An excellent way to get your week started. The recipes I’ve given you are both filling and fueling, chock-full of nutritious power-packed ingredients. 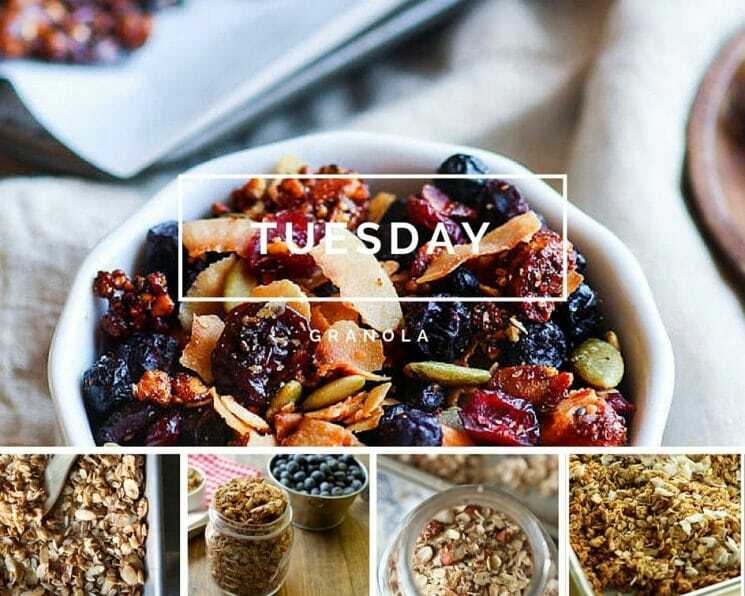 Tuesdays are for granola. To save yourself some time prepare the granola the night before so that it’s ready to go first thing in the morning. Pour overtop your favorite almond or coconut milk for a delicious cold cereal. 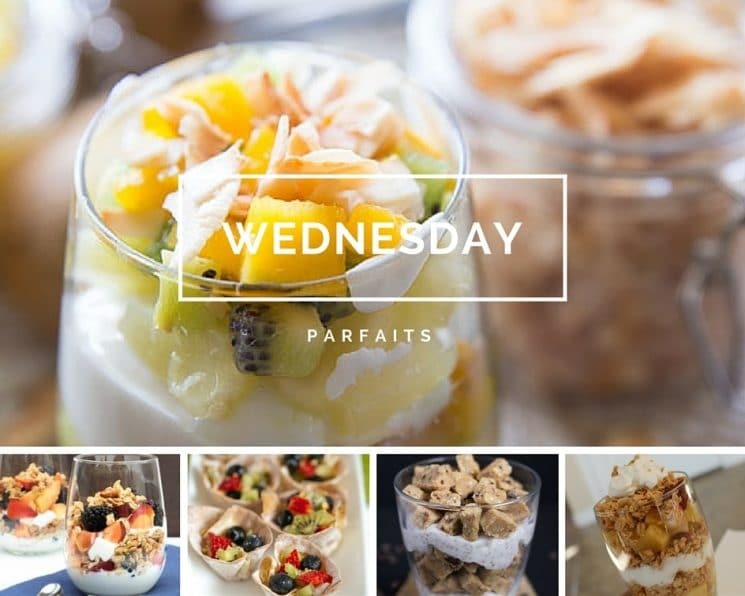 Wednesdays are for parfaits. If the recipe calls for granola you’ve already got that step out of the way from the previous days’ breakfast. The great thing about parfaits is that they are so quick to throw together. In a mid-week slump they are the perfect pick-me-up breakfast! 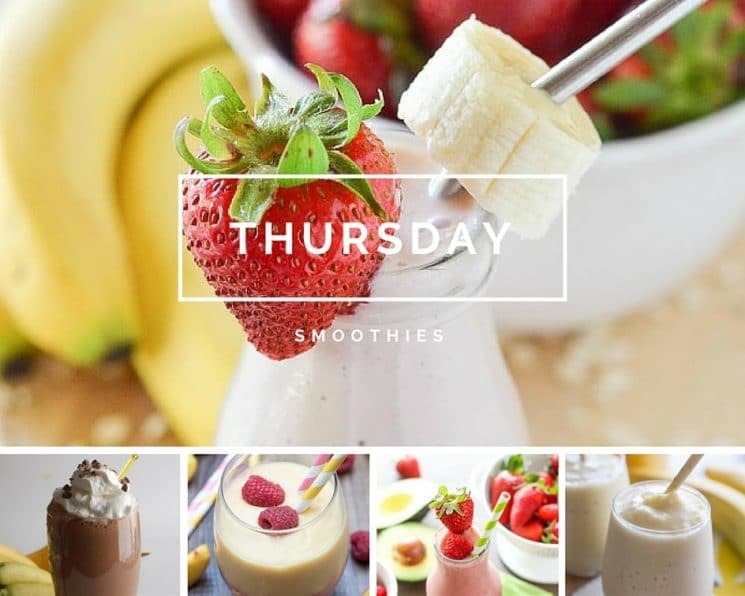 Thursdays are for smoothies. Everyone loves a good smoothie and with only a handful of ingredients and a matter of minutes you can have a healthy on-the-go energy boost. 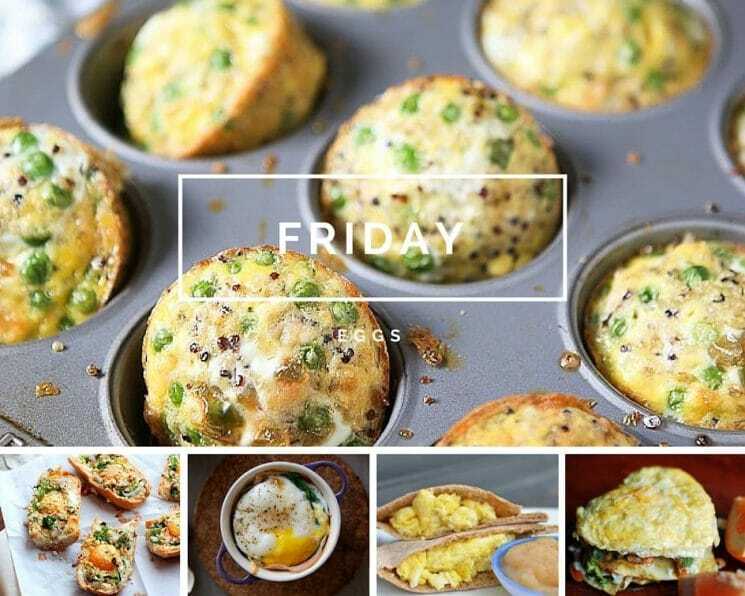 Fridays are for eggs. Think there’s only one way to enjoy scrambled eggs in the morning? Think again! 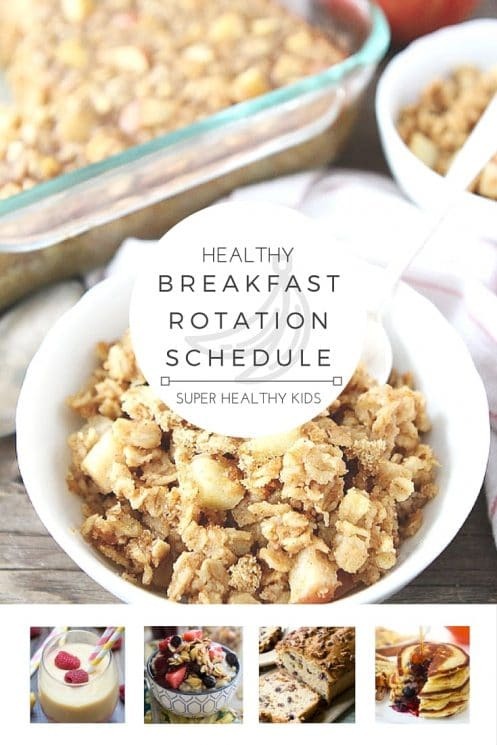 You can add grains, veggies and more to amp up the already good-for-you way to start your day! 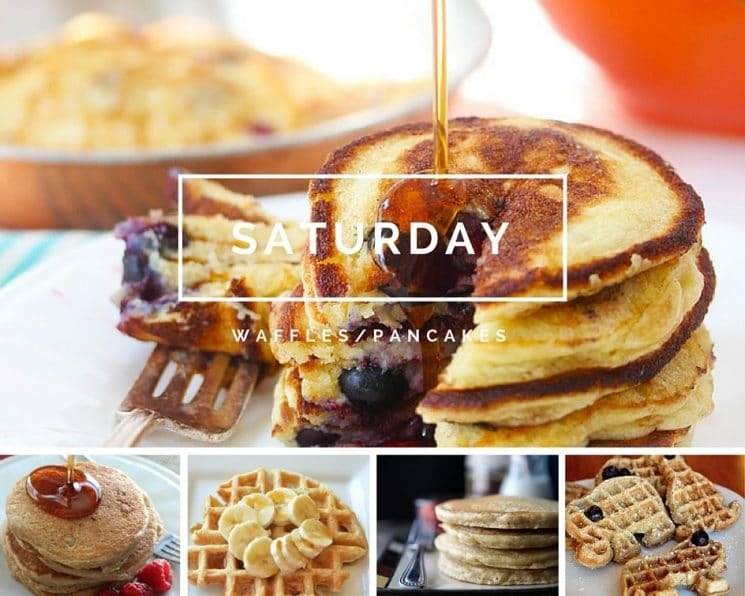 Saturdays are for waffles or pancakes. There’s nothing better than sitting down with the family on Saturday morning around the breakfast table enjoying quality time together. Waffles or pancakes are a meal I feel are best enjoyed when you’ve got a little extra time to savor. 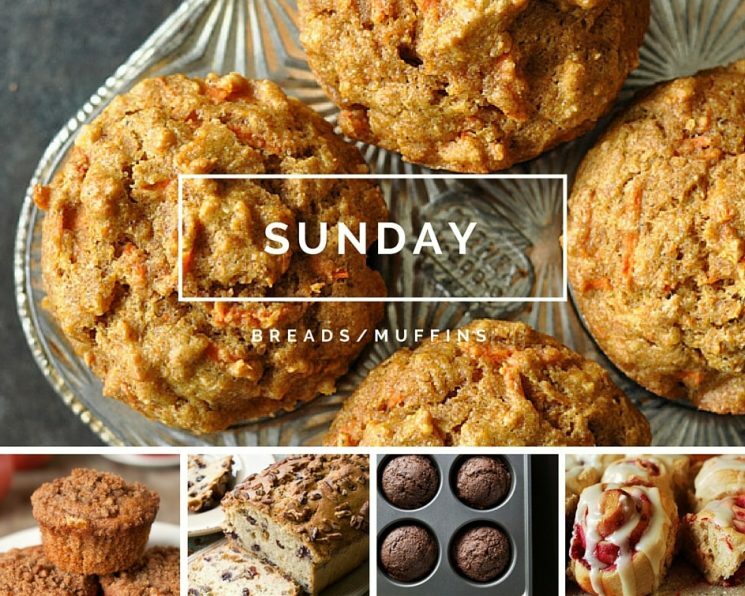 Sundays are for breads or muffins. Like Saturday, most have a little bit more time on Sunday mornings and a slice of fresh bread or delicious hot muffin is a great way to kick off your Sunday. I would like to respectfully remind you that words ending in “s” do not need apostrophes unless to show possession or to indicate contraction with a verb. Apostrophes indicate possession (for example: Monday’s activities) or a contraction (Monday’s = Monday is). Just because a word is plural (ending in s) doesn’t mean it requires an apostrophe. 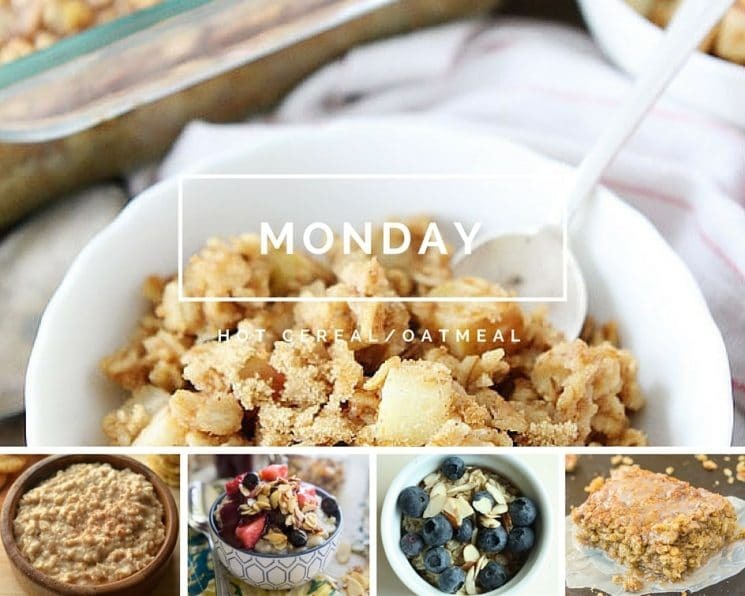 So: Mondays – Oatmeal. No apostrophe required! This is driving me nuts, too. It’s such a great post but I was very distracted by the pluralization error. I didn’t get any emails I just clicked on the link and got a blank gray page. Is it something I need to sign up for? 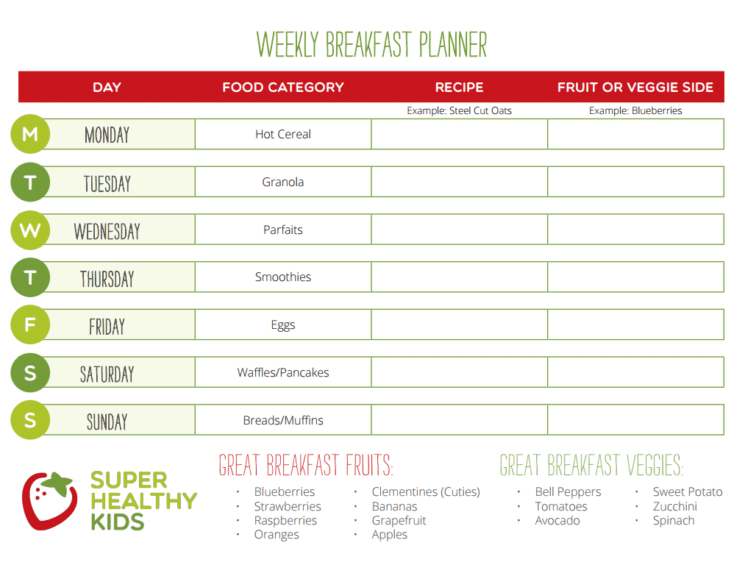 I love, love, love this plan and I’m printing everything out to start using when school begins, but the blueberry almond oatmeal link is not working. It just says 404-post not found. Any help? Thanks!